TabView makes it possible to view and print PowerTab tablatures with your Mac. PowerTab is a well-known and widely adopted tablature editor for Windows systems. 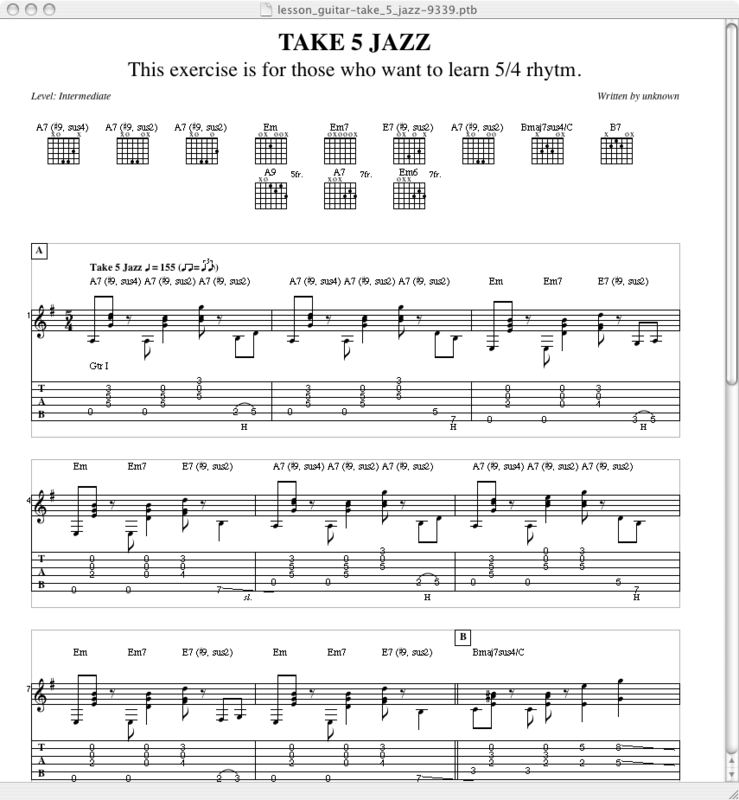 You can easily find thousands of song transcriptions in this format on the net. With TabView you can also export your tabs in MIDI format, or follow the playback on screen to help your learning process. TabView is an Universal Application, thus it runs natively both on PPC and Intel based Macs. If you need more information please contact the developers of TabView (Simone Tellini), or check out their product website.